If Regis Needs Students From 25 Districts To Open, Should It? Remember back in February when Amir Khan was bragging at a Regis Academy Board of Trustees Meeting that he could take kids from Hoboken if he wanted to because the NJDOE had allowed him to expand his districts? A couple weeks later the NJDOE told the Courier Post that Regis was NOT given permission to expand their districts. For a minute there it looked like Regis would actually have to fill the majority of their seats with kids from the districts they were actually approved to serve. Imagine that! Fast forward to June and it's crunch time. The NJDOE is doing their walk through of Regis' facility in the next couple of weeks, and all of the final paperwork is due to the NJDOE by June 30th. Acting Commissioner Cerf will decide if Regis gets it's final charter on July 15th. At a Board of Trustees meeting tonight Regis claimed to have 267 students enrolled, and this is also the number Khan cites in an article in today's South Jersey Sun. On June 8th however Christian Barnes, Regis Lead Person/Principal/Founder, confirmed enrollment of just 187 students and provided a breakdown. Guess how many districts those students were being pulled from? 25. That's right, 25. And how many of those students are from the original four sending districts? Only 78, or 42%. Here's the breakdown. This brings me back to the old adage trotted out over and over and over again by Carlos Perez of the New Jersey Charter Schools Association. That parents will "vote with their feet." A charter school that fills up with students is one that was wanted by the community. So if it takes 25 districts to fill a charter school, can we assume it wasn't wanted or needed? Looks like the parents in Cherry Hill, Voorhees, Somerdale and Lawnside DID vote with their feet. But the NJDOE let Regis stuff the ballot box. Regis needed to fill 250 seats in grades K-4. So just for fun, lets look at how many kids are in Cherry Hill, Voorhees, Somerdale and Lawnside schools in K-5, and see how many have chosen Regis Academy. Less than 1% of the students in Cherry Hill and Voorhees have chosen Regis, and only 4% in Somerdale. But the numbers for Lawnside are alarming. 29 students may seem insignificant, but that's 21% of Lawnside's students in Grades K-5. This brings up a very troublesome issue. The NJDOE is supposed to consider the segregative effect a charter will have on a district before they grant a final charter. Lawnside's student population is predominantly African-American. In the 2010/2011 school year the district had 283 students in total, and 94% were African-American. The town of Lawnside claims to be "the first independent self-governing African-American community north of the Mason-Dixon line." Why would the NJDOE allow Regis to take over 10% of the total population of this historic district? I noted back in February that Regis did not fill out the demographic information on the enrollment data submitted to the NJDOE. I have since received enrollment data via OPRA on 11 other pending charters, and EVERY SINGLE ONE includes the required demographic information. Only Regis failed to submit this information. There certainly seems to be reason to be concerned that Regis is enrolling primarily African-American students. Are they trying to hide this by not submitting the demographic information? These are issues the NJDOE should carefully consider before granting Regis their final charter. Regis needs to produce the demographic information on the students they have enrolled. If they are indeed pulling primarily African-American students out of the traditional public schools, the segregative effect this will have on the sending districts must be explored. The NJDOE also needs to carefully consider the potentially disastrous effect Regis may have on the Lawnside school district. These are just two of the many, many issues I hope to highlight between now and July 15th when Acting Commissioner Cerf makes his decision on Regis. Ready Or Not NJ, Here Come The Virtual Charters! Under the law that brought charter schools to Pennsylvania in 1997, charters and cyber charters receive funds from school districts based on the district's own per-student spending. Because there are 500 school districts, there are 500 different rates. And cyber charters - which enroll students from across the state - receive the same amount as traditional charter schools that operate buildings. Cybers also receive wildly different per-pupil amounts. 17K per student for a virtual education?? So let's think about this a bit. Cyber charters have very little overhead as there is no need for a "brick and mortar" facility to house the students and the student teacher ratio can be higher because students are working at home, either on their own or with a parent/guardian. But how high is the ratio? K12 Inc., which will be operating four of the five cyber charters slated to open in New Jersey this fall, reported in their 2011 proxy statement that they experienced revenue growth from $384.5M to $522.4M, an increase of 35.9%. And in 2011 CEO Ron Packard earned over $5M in salary, stock awards, and other compensation, and the companies four other named executives earned an additional $2.6M combined. So these guys have clearly proven they can make a lot of money on virtual charters. But have they proven that students can excel in a virtual environment? So why is this happening? Why are for-profit companies allowed to make buckets of money off of kids who aren't learning? A snippet from a K12 Inc. Earnings Conference call with wall street analysts may shed some light on why in 2011 K12 Inc.'s enrollment increased across the country by 45.7% from 67,878 to 98,890. Amy Junker - Robert W. Baird & Co., Inc. — Analyst And then are — do Obama and Duncan, are they distinguishing at all between for-profit versus not-for-profit? Or do they seem not to care? Arne strikes yet another blow against public education. Has he not noticed that virtual charters are NOT working for children or does he just not care? Following the bill's effective date, the Commissioner of Education will not be allowed to approve any application for the establishment of a virtual charter school for a period of 12 months while a task force is created to investigate and develop recommendations for the structure governing virtual charter school education in New Jersey. The Virtual Charter School Task Force would consist of 9 members, three appointed by the Governor, three by the Senate President, and three by the Assembly Speaker. 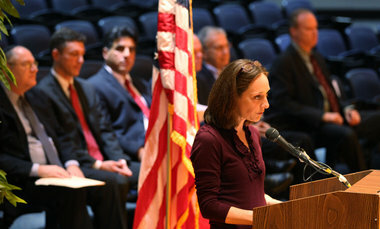 The task force's recommendations must address: statutory and regulatory authority for the operation of virtual charter schools; part-time and full-time virtual charter schools; non-profit and for-profit virtual charter schools; parental involvement requirements; financial management systems; guidelines for Internet-based technology for classes; and guidelines for the performance of virtual charter schools. Let's hope cooler heads prevail and this is brought before the full Assembly and Senate as well. If not, you can bet years from now we will be in the same spot as Pennsylvania, with for-profit virtual charters draining millions of tax dollars with very little to show in student achievement. UPDATE! The full Assembly has approved the virtual moratorium bill! “There are far too many unanswered questions in terms of whether this teaching method is effective for both educational development and social growth,” Vainieri Huttle said in a statement. Matt Katz has written several pieces lately about the Government Records Council (GRC), and how he has been unable to get documents related to the Governor's press release recipient list. Hardly seems like it should be highly classified information, but Katz's Open Public Records Act (OPRA) request was denied. He appealed, and it was brought before the GRC. And who is one of only four members of the GRC? None other than your friend and mine, Acting Commissioner of Education, Chris Cerf. How has the GRC voted on appeals? 44-0. Wanna bet whether they voted in favor of the administration or the good people of New Jersey? Let's just say Matt Katz was one of the 44. So if I want to appeal the redaction of emails between Tikun Olam lead founder Sharon Akman and Acting Commissioner Cerf that I received via OPRA, I have to appeal that decision to Cerf himself. If you notice any response back to Sharon Akman is redacted. Did Akman get the meeting she requested? Did the federal grant give her application magical powers? We'll never know. I emailed the Acting Commissioner directly asking him to release the emails and, big surprise, I never got a response. I greatly appreciated how Katz illuminated the lack of government transparency under this administration. But when I saw the picture attached to one of Katz's pieces, I have to admit, I became more than a bit distracted. I immediately flashed on Christopher Walken in the Fat Boy Slim video for the song "Weapon of Choice" and imagined that, like Walken, Christie started dancing with abandon right after this shot was taken. Here's the video. Watch it, and you'll understand why I became so distracted. As I watched the video, it hit me. At every turn, the Christie Administration undercuts the people of New Jersey (Matt Katz demonstrated that perfectly) as well as the New Jersey Legislature. Here's a couple examples of how this administration is attempting to cut the legislature off at the knees. Department of Environmental Protection attempts to waive regulations based on 40 years of legislation. Department of Education attempts to rewrite charter school regulations based on the Charter School Program Act of 1995. If you haven't already, join the almost 4,000 folks letting Acting Commissioner Cerf, the Governor, the State Board of Education and the legislature know that we will not sit silently by while these changes are pushed through. In these proposed regulatory changes are a couple of doozies that will pave the way for virtual charter schools, which clearly were never envisioned by the legislature in 1995. Nonetheless, the Acting Commissioner will decide on July 15th whether to grant final approval to no less than FIVE virtual charter schools that are already recruiting students and are just waiting to open their, um... doors (?) in September. Assemblyman Diegnan got a virtual charter moratorium bill out of the Assembly Education Committee last week, but if it doesn't get any further the Department of Education will open virtual charter schools with no regulations or legislation to monitor their operations. That job will be left to discredited for-profit online content providers and an unaccountable Department of Education. Just another example of the Christie Administration and Acting Commissioner doing as they please, to hell with the people of New Jersey and their representatives. 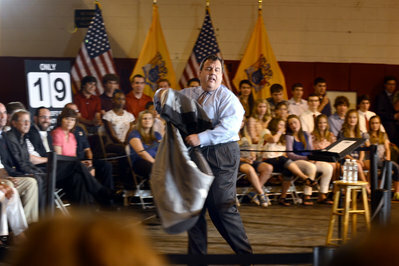 The Christie Administration's Weapon of Choice?